A Washington woman found herself in hot water with her landlord on Wednesday after it was discovered that she'd violated the terms of her lease -- and state law -- by keeping a five-foot alligator in her 600-square-foot apartment. April Rognlin, a resident of Ocean Shores, claimed she'd had her pet alligator, Snappy, "forever" when local police came to take the reptile away. "It broke my heart," Rognlin told King 5 News. "He's our buddy... he's just like a dog or a cat." 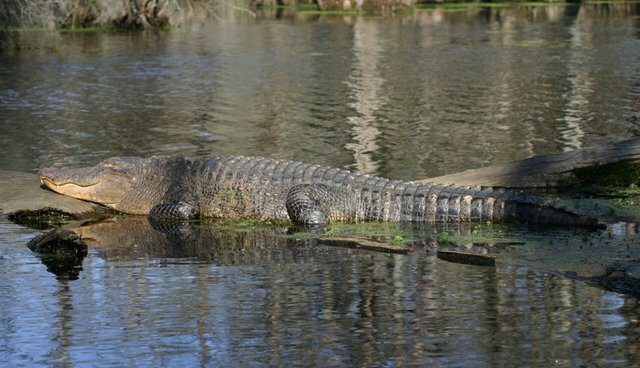 Washington state, however, says otherwise: under the law, alligators are considered "dangerous" and their owners can receive penalties for keeping them. Ocean Shores police, however, are looking to charge Rognlin not only with a normal citation, but with animal cruelty as well. Snappy will remain in the care of the Thurston County Animal Shelter before he's moved to a reptile refuge elsewhere in the state.